We’ve released an update to djay Pro 2, free to all existing users. This update (v 2.0.9) fully leverages macOS Mojave including support for Dark Mode. 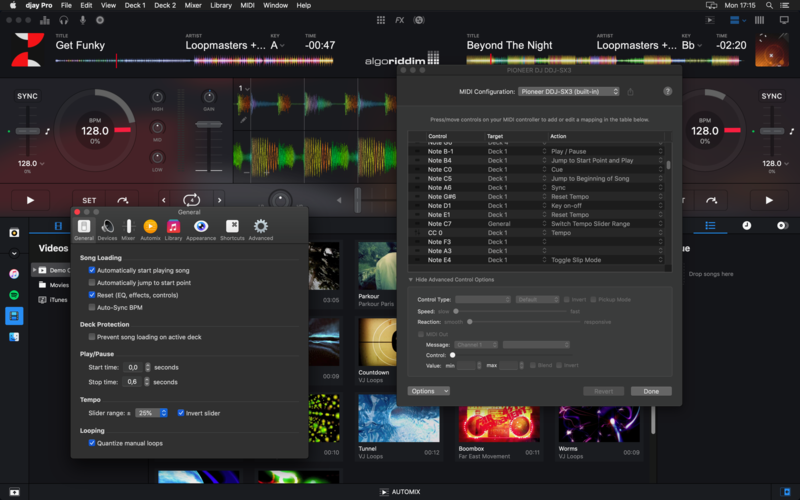 The appearance of djay Pro 2’s panels now automatically adapts to your environment on macOS Mojave, with its finely tuned Dark Mode that looks absolutely stunning. Moreover, djay Pro 2 leverages performances enhancements under the hood for pristine sound quality and smoother graphics rendering on this latest version of macOS. The latest version of djay Pro 2 sounds and looks better than ever before. djay Pro 2 is available on the Mac App Store for $49.99.